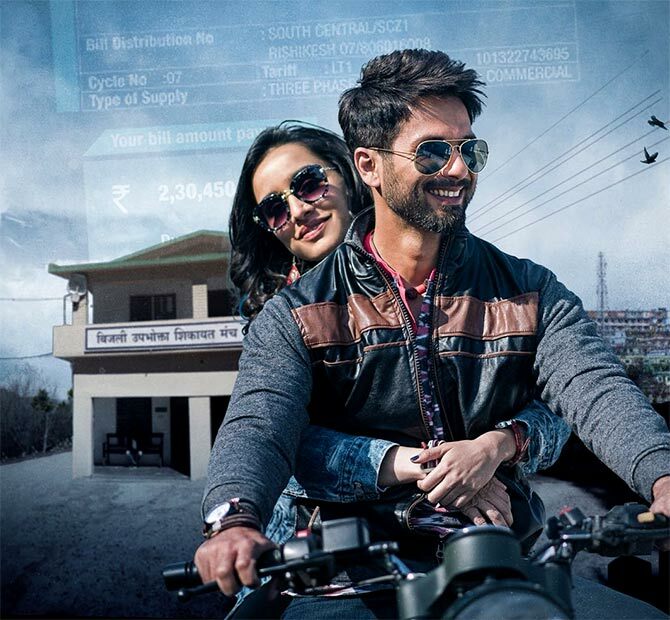 Rediff.com » Movies » Like Shahid, Shraddha in Batti Gul Meter Chalu? 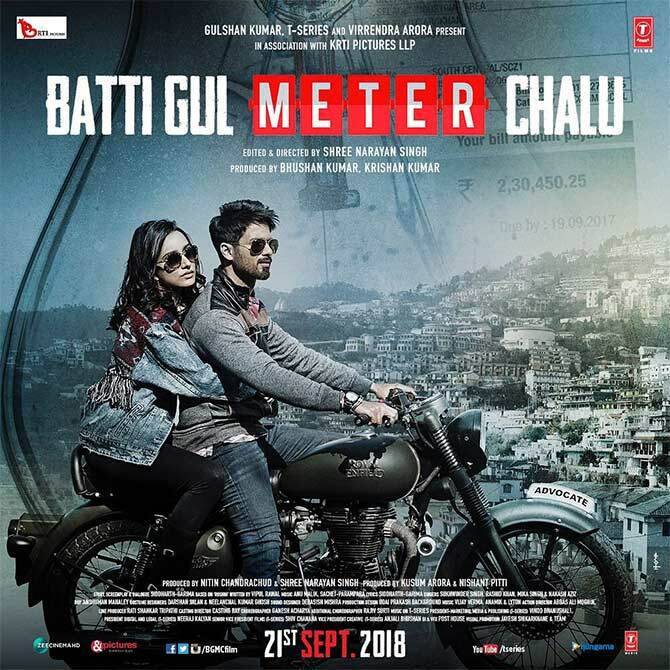 Like Shahid, Shraddha in Batti Gul Meter Chalu? Why Shraddha and Shahid are feeling top of the world. 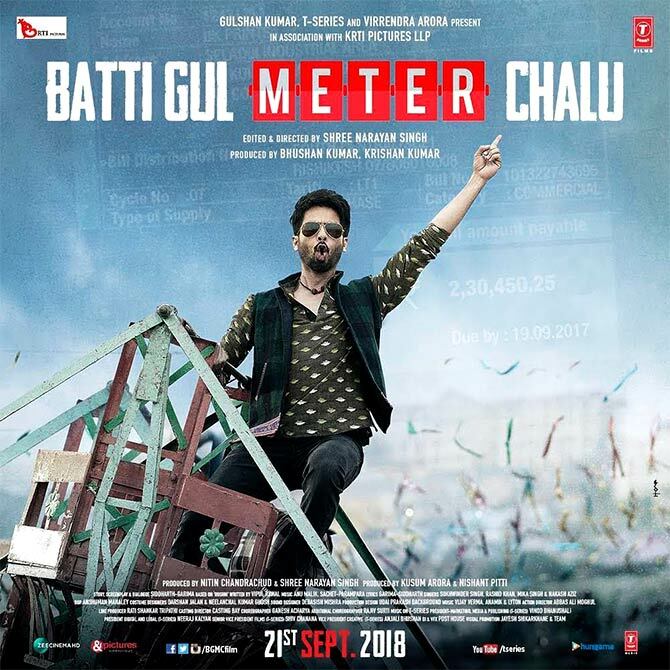 Shahid Kapoor and Shraddha Kapoor are all set to share Batti Gul Meter Chalu with the world. The actors shared posters of their film on Instagram to create a buzz around the trailer release. BGMC releases on September 12. Sharing another poster, Shraddha writes, 'Bike chalu ho na ho, kal se trailer toh chalu hoga. Directed by Shree Narayan Singh (Toilet Ek Prem Katha, Batti Gul Meter Chalu also stars Yami Gautam, Divyendu Sharma, Anupam Kher and Arbaaz Khan.